When you have a look at the international car market you will come across many big names. Most of them think about the luxury and comfort of the people at the time of designing the cars. Cars have come out to meet the needs of people who are leading different spheres of life. One of the companies that have been able to launch cars to meet the needs of the people with limited income is Tata Motors. This is a famous company that is based in India and also has their presence in some other countries of Asia. Whats there in the customization kit for Nano? The young people who are living in the urban area have been always in search of something stylish. This is not an exception when it comes to vehicles. The quest of the people increases more when they are thinking of giving a new look to their car. Tata has given the opportunity to its customers to provide a great look to the Nanos that they are possessing. For this the company has come up four new kits that can be used for the customization of the car. This will help in giving an appealing look to the car. The kits are known by the names Peach, Jet, Alpha and Remix. They can be well used with the cars that are already running on the roads. They are available in the LX and CX trims. The car made a remarkable contribution to the auto market of the country by launching the first ever small family vehicle Nano. The dreams of the people who are unable to buy expensive cars have come true. 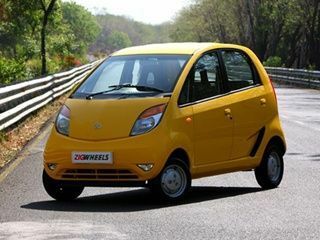 Recently the company has launched the first body kit for Nano in the market. This will help a lot in enhancing the look of this small yet popular vehicle on the Indian roads.